If your B2B content marketing strategy isn’t performing as it should be, it could be suffering silently in ways you might not notice. 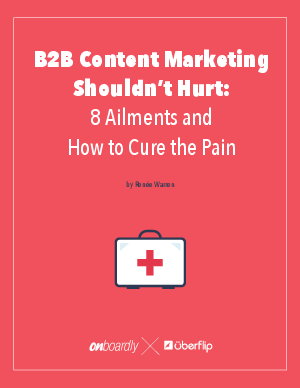 It’s time to stop remedying your content marketing problems with band-aid solutions and address these symptoms at the source. How to diagnose common problems that hurt your content marketing efforts. How to build a recovery plan to fix what’s ailing your content. How to heal your content marketing & keep it healthy so you can turn more visitors into customers.